Add relaxation, stress relief and even romance to your holiday with Ministry Of Hemp’s Official Valentine’s Day CBD Gift Guide. We’ve gathered special offers on some of our favorite CBD products. 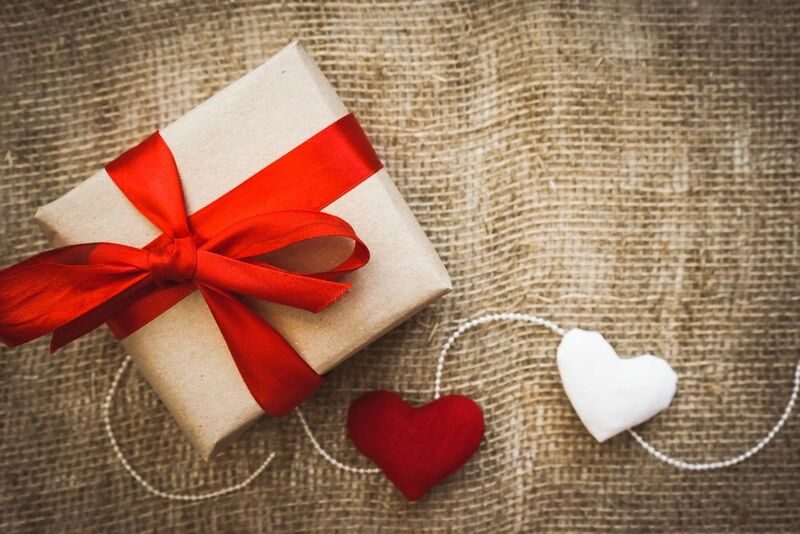 Make Valentine’s Day healthier, more relaxing, and even more romantic with this CBD Valentine’s Gift Guide. 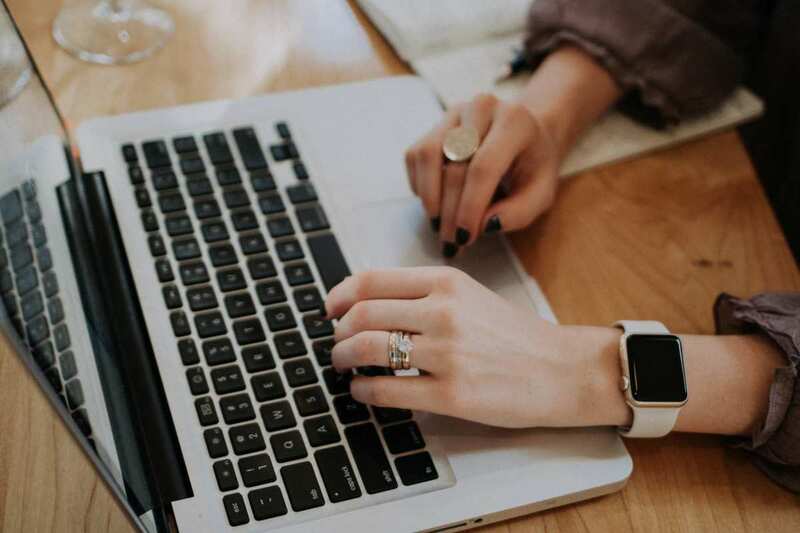 While St. Valentine’s Day is considered the most romantic of holidays, like many other holidays it can be surprisingly stressful. There’s a lot of pressure to get everything perfect. That’s why we wanted to pick some great Valentine’s Day CBD gifts for you. If you’re looking for a gift that’s more sustainable and healthier than another chocolate sampler, we think CBD is perfect. There’s nothing worse than being too stressed to enjoy time with our loved ones. CBD seems to balance the human endocannabinoid system. CBD reduces pain and symptoms of anxiety, which can help us feel more relaxed and open to our loved ones on this special day. Even if you’re spending the day by yourself, CBD is the perfect choice for self-care. 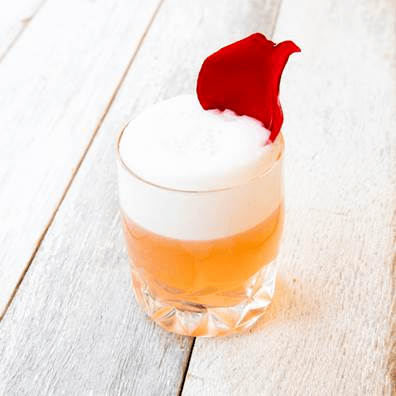 Read on for a special Valentine’s Day CBD cocktail recipe, and our complete CBD Valentine’s Day gift guide. 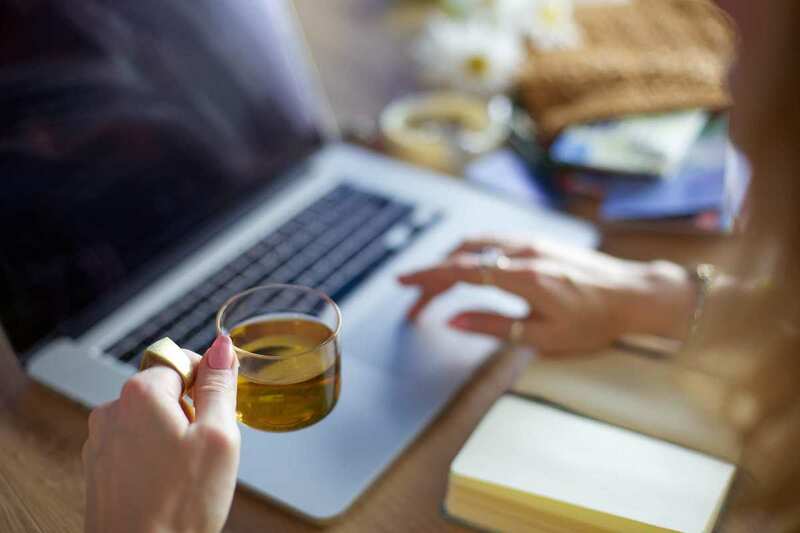 CBD drinks are a great choice for entertaining and, when it comes to CBD-infused alcoholic beverages, might even counteract some of the negative side-effects of drinking since CBD reduces inflammation. Of course, it’s always important to drink responsibly and in moderation, so save the elevated cocktails for when you’re ready to stay in for the night. Our friends at Curaleaf Hemp shared this delicious Valentine’s CBD recipe with us. What’s the deal? 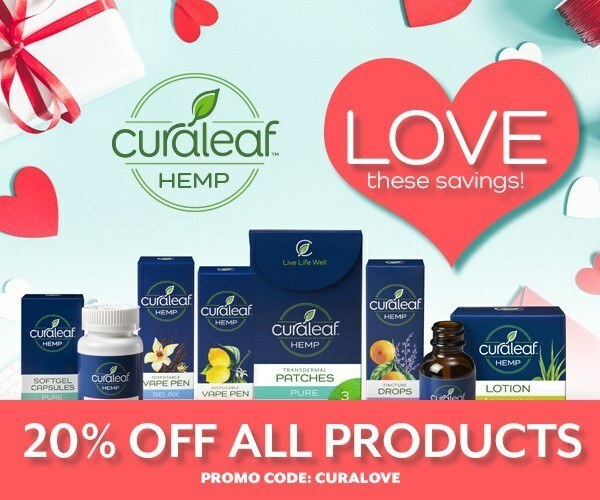 Get 20% off all Curaleaf Hemp products until Valentine’s Day. Do I need a coupon code? Use coupon code CURALOVE at checkout. We’ve got lots more great Valentine’s Day CBD gifts for you. Click below to jump to a brand, or read on to see all the Valentine’s Day CBD deals. We’ve provided everything you need to take advantage of these sales. What’s the deal? Get 20% off Ananda Touch Bliss Oil when you order before February 15! Do I need a coupon code? Use coupon code blissfulday at checkout. When is this deal available? Until February 15, 2019. 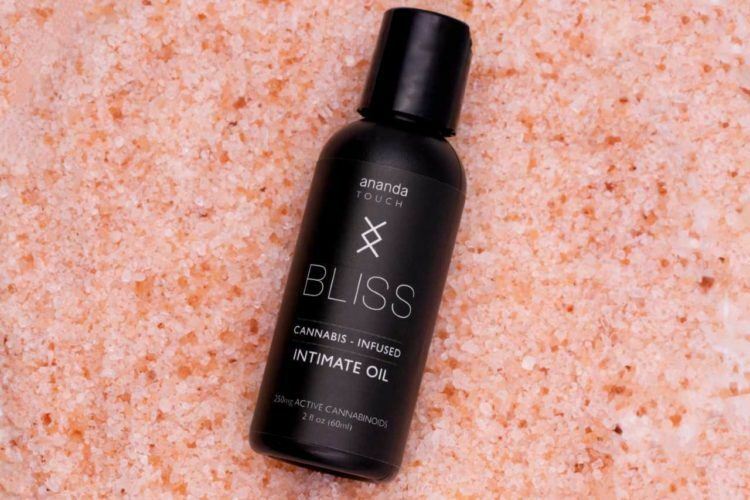 Bliss Oil is Ananda Hemp’s new intimate oil, designed to enhance sexual pleasure. Check out our official review of Bliss Oil! We’re also big fans of Ananda Hemp’s Spectrum Gels and their CBD tinctures. What’s the deal? 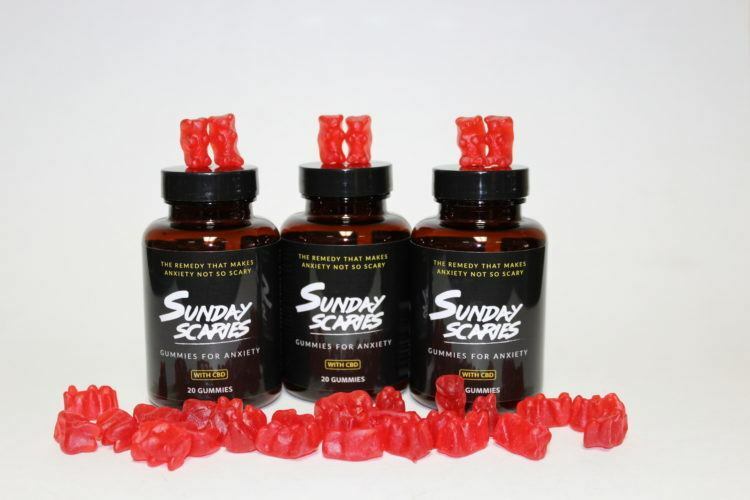 Get 10% off Sunday Scaries CBD products, which are formulated to reduce anxiety! Do I need a coupon code? Use coupon code ministry at checkout. When is this deal available? Anytime. It cannot be combined with other offers, however. Our review team loved Sunday Scaries Vegan AF CBD Gummies. What’s the deal? 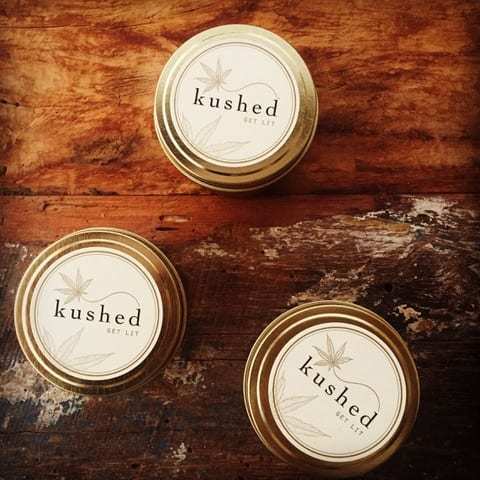 Get 20% off PlusCBD Oil CBD balm all month long! Do I need a coupon code? Use coupon code BEMINE at checkout. When is this deal available? Until February 28, 2019. 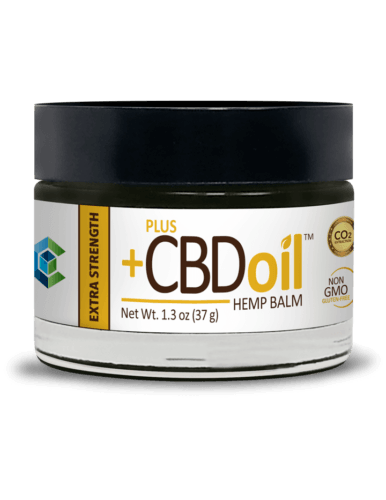 Soothe away your aches and pains with this great topical CBD and you’ll be ready for your night on the town, or staying in with Netflix. What’s the deal? Get 25% off Every Day Optimal products until February 15! Do I need a coupon code? Use coupon code mhlove25 at checkout. 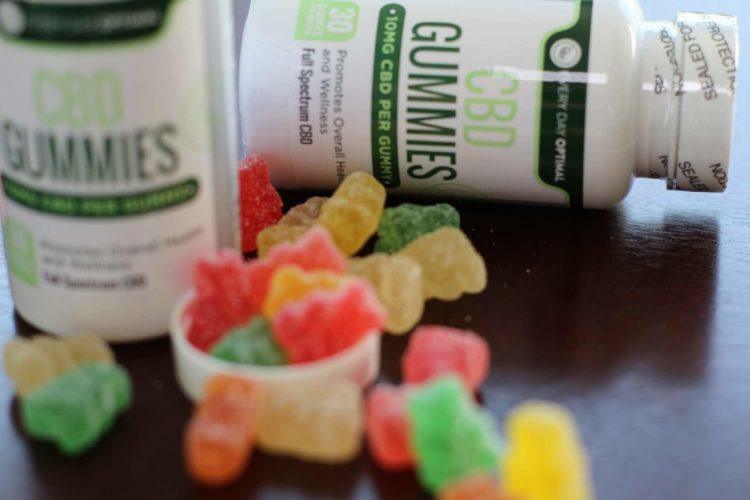 Our reviewer loved Every Day Optimal Gummies and their CBD capsules are some of our favorites too. What’s the deal? 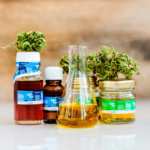 Get 33% off selected Inesscents Salvation CBD products: Inesccents CBD-infused soaps and any Inesccents Moontime Harmony product. We’ll have a video review of some of Inesscents CBD products soon from our new video producer, Jessica St. Cyr. What’s the deal? 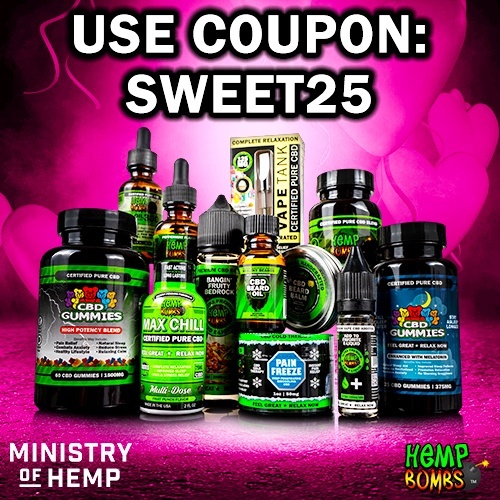 Get 25% off Hemp Bombs products until February 15! Do I need a coupon code? Use coupon code SWEET25 at checkout. Our review team loved Hemp Bombs’ CBD gummies! What’s the deal? Get 25% off Joy Organics skin care products until Valentine’s Day! Do I need a coupon code? Use coupon code spreadlove2019 at checkout. When is this deal available? Until Valentine’s Day (February 14, 2019). Come back on February 15 for Joy Organics annual “Joy Day Sale” to celebrate the founder’s birthday. Use coupon code joyday2019 on February 15, 2019 to save 40% off everything in their online store. What’s the deal? Get free shipping on all orders from Sagely Naturals, with no minimum order, until Valentine’s Day! Do I need a coupon code? Use coupon code PLANTLOVE at checkout. Our reviewers enjoyed Sagely Naturals Relief & Recovery Cream and their CBD capsules. What’s the deal? 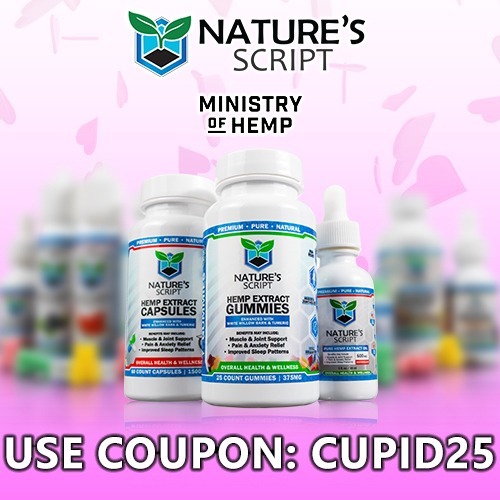 Get 25% off Nature’s Script products until February 15! Try Nature’s Script High Potency CBD Capsules for a great, high-strength CBD product. 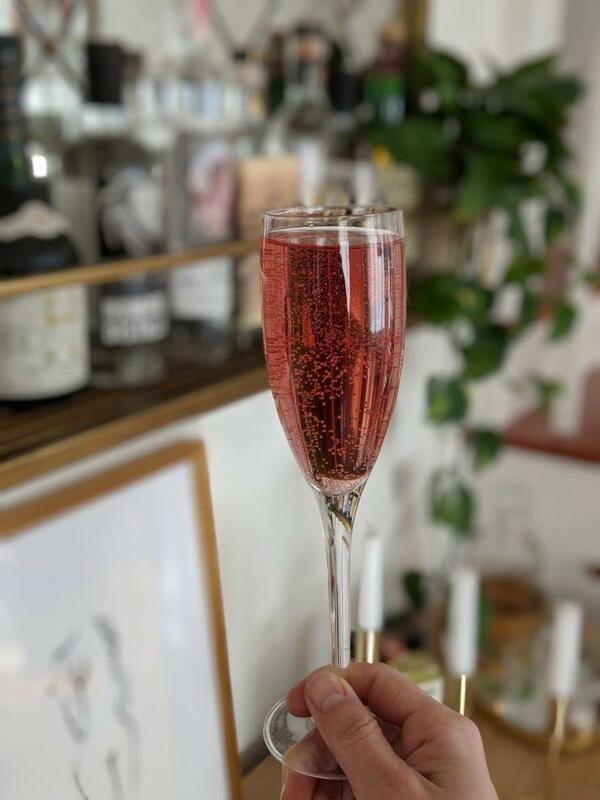 No Comments on Cranberry Sparkling CBD Cocktail: Celebrate With Our Fizzy CBD Drink! Start your night off with a toast with a twist of CBD. This sparkling cocktail combines the natural terpenes of high-quality CBD oil with tart cranberry and sweet citrus. Editor’s Note: Our sparkling CBD cocktail recipe marks our third collaboration with John Korkidis, better known as Chron Vivant. It’s also a chance for us to wish all of our readers a very Happy New Year! On New Year’s I typically start my night with a glass of something sparkling. But instead of simply reaching for champagne, I like to challenge myself to be a bit more creative seeing as we are celebrating another trip around the sun. 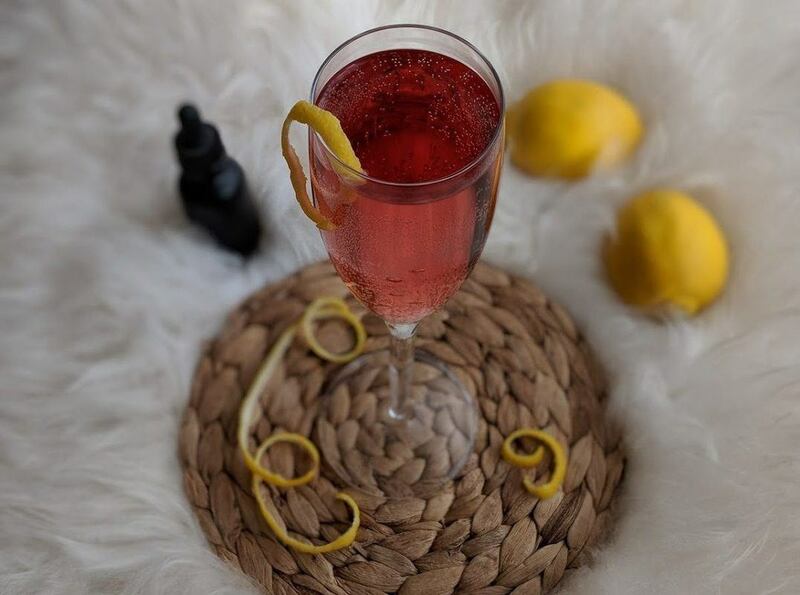 This riff on a lower ABV (alcohol by volume) sparkling cocktail is elevated by the addition of a full-spectrum CBD tincture to help get the party started. The flavonoids and terpenoids found in most high quality CBD tinctures play well with the tart cranberry and sweet citrus notes and are easily washed down by the sparkling wine. Elegant and perfect for any celebration, this dead simple champagne cocktail only contains a few simple ingredients and takes less than a minute to build. And if you’re looking to save some money after all of your holiday shopping, you can easily substitute an Italian prosecco or Spanish cava in place of the traditional French bubbly in this recipe (you don’t need to use the good stuff when making sparkling cocktails). Pre-mix the spirit and juice and chill in the refrigerator the night before serving (do not add the champagne yet). When you are ready to serve, add the chilled liqueur and cranberry juice to a champagne glass or coupe. Top with Champagne and add three to four drops of your favorite CBD tincture. 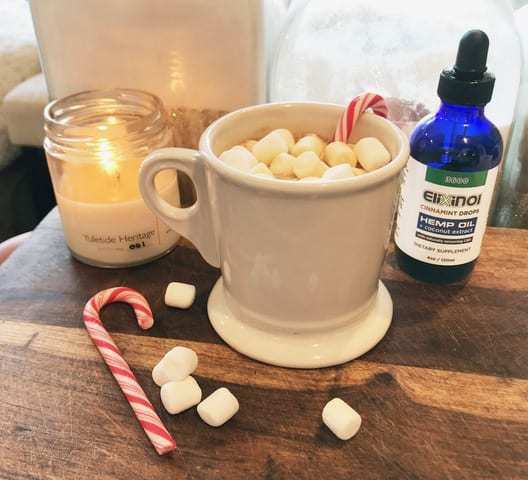 Nothing is more comforting than a cup of hot cocoa and nothing quite hugs the soul like CBD oil. So, there may be no better way to spend a cold winter’s day than snuggled up to a crackling fire with with a mug full of CBD hot cocoa. Nothing is more comforting than a cup of hot cocoa and nothing quite hugs the soul like a broad spectrum of cannabinoids. So, there may be no better way to spend a cold winter’s day than snuggled up to a crackling fire with with a mug full of CBD hot cocoa. And if you don’t have a fireplace, this recipe will make you feel like you do. Hemp-derived cannabinoids and terpenes enhance the spices and bitter chocolate notes. Plus, the added fat of the milk and whipped cream helps increase the bioavailability of the drink. Fun Fact: The first chocolate beverage is believed to have been created by the Mayan peoples around 2000 years ago, and much like cannabis, the cocoa beverage was an essential part of Aztec culture. I wonder if they ever mixed the two? In a small saucepan, mix the chocolate, cocoa powder and 1/2 cup of milk over low heat. Stir continuously until the chocolate is completely melted. Add the remaining milk, a dash of cinnamon, and a dash of sea salt. Stir in organic sugar to taste and add a few drops of the CBD tincture of your choice. 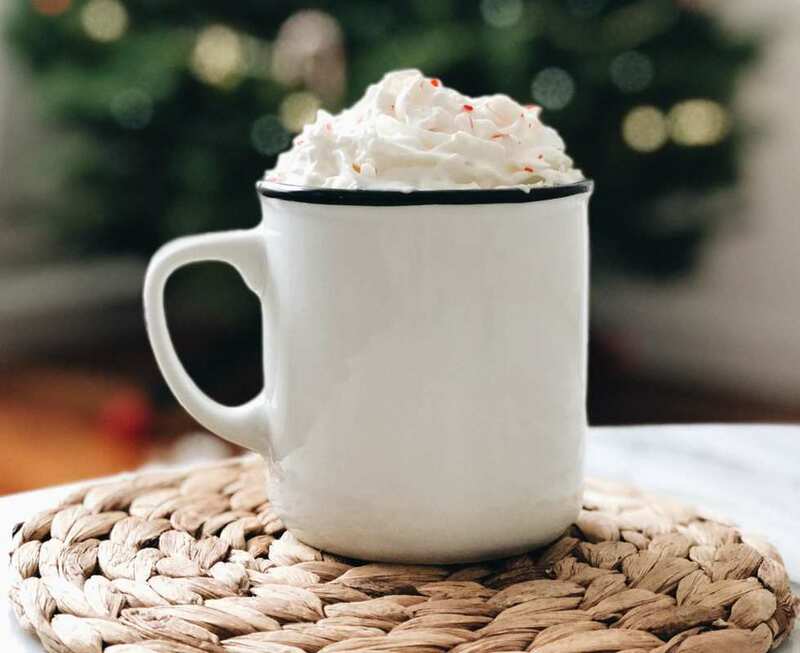 Pour CBD hot cocoa into your favorite mug and top with whipped cream or marshmallows. Take a candy cane and place in a ziplock bag. 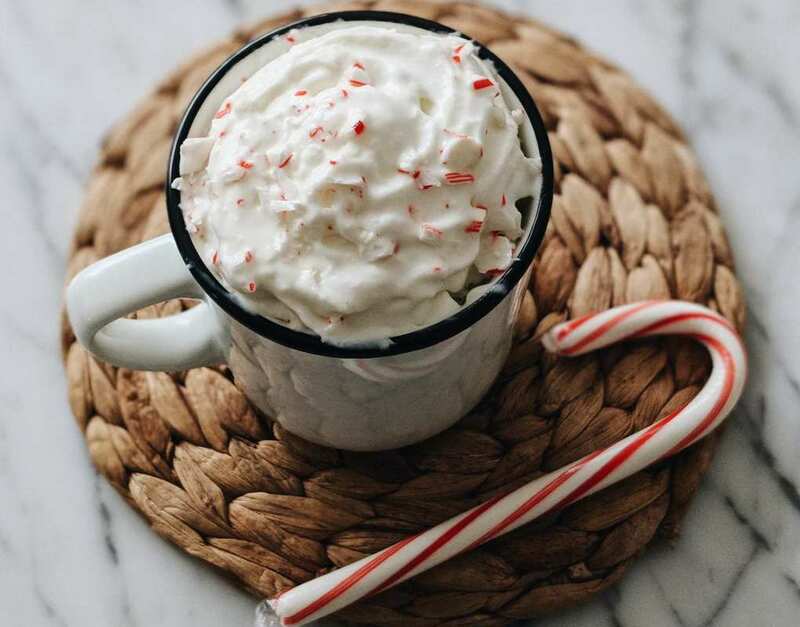 Gently crush the candy cane with a mallet or similar object and sprinkle the remaining candy cane bits on top of your whipped cream or marshmallows. This hemp and CBD gift guide brings together some of our favorite holiday CBD specials to help you finish your shopping and share hemp with your loved ones. 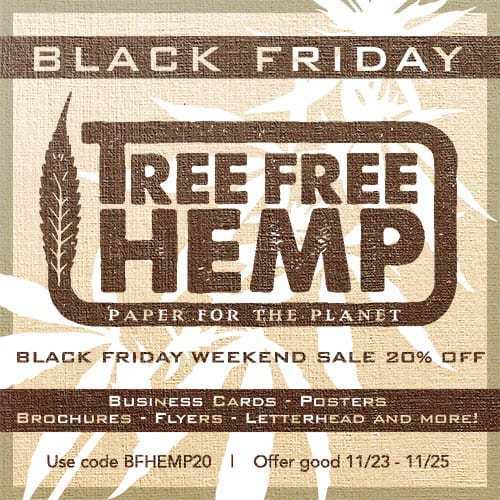 You can also use these special deals to treat yourself to new hemp products! This hemp and CBD gift guide brings together some of our favorite holiday CBD specials to help you finish your shopping and share hemp with your loved ones. Thanks to unprecedented media attention, more people are learning about the benefits of hemp and CBD than ever before. 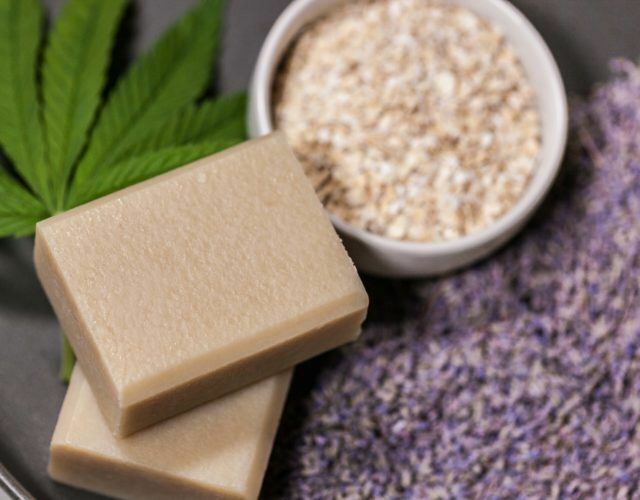 If you’ve already tried our favorite plant, then you may have experienced some of the many ways that hemp can help and heal. These special gifts are the perfect way to help someone close to you try hemp and CBD too. 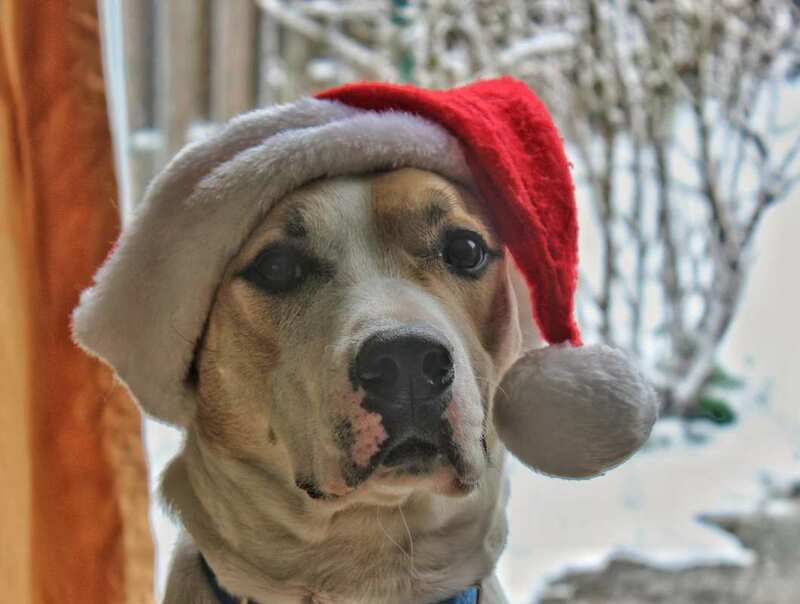 You’ll even find something for your four-legged friends in MInistry of Hemp’s Holiday Hemp Gift Guide! 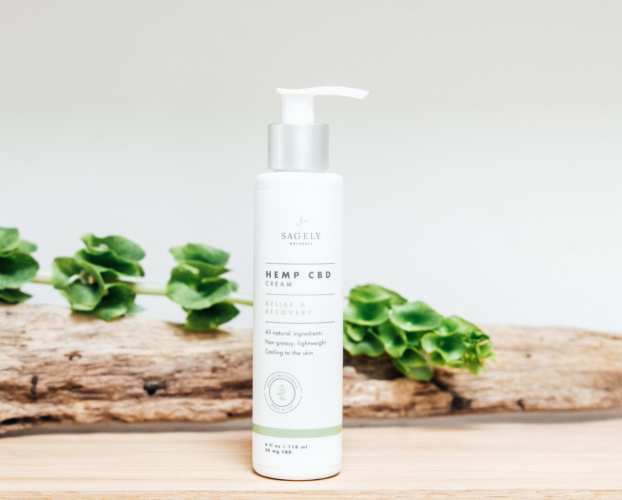 On the other hand, if you’ve never tried hemp, this CBD gift guide could be your chance to treat yourself. 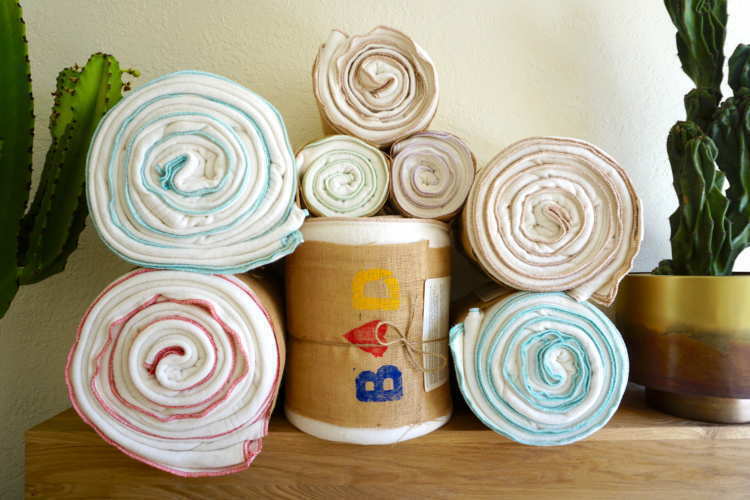 Whether used as a food, skincare product or in fabric, hemp can nourish and protect. As for CBD oil, we think this supplement is one of the best ways to beat the stress and anxiety of the season. Continue reading for our complete hemp and CBD gift guide for 2018. For this hemp and CBD gift guide, we’ve selected 5 great deals from some of our favorite CBD and hemp brands. Rather than just coupons, for this article we picked special offers for gift boxes or bundles that let you give (or get) a little something extra special. Ministry Of Hemp’s Holiday Hemp & CBD Gift Guide can help you share the gift of hemp with your family and friends. After that, we’ve selected some smaller items, for stocking stuffers or just those little gifts that inevitably end up on our lists. Click below to jump to directly part of our hemp gift guide, or read on to see all the holiday deals. What’s the deal? 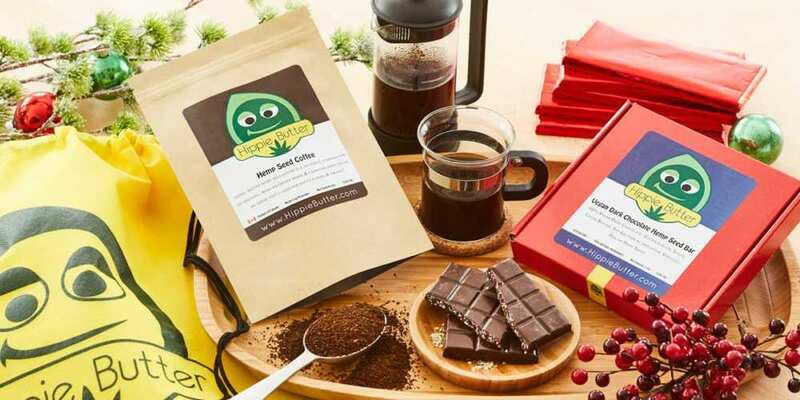 Get a special discount on Hippie Butter’s Hemp Coffee & Chocolate Gift Set which includes hemp seed coffee and hemp seed chocolate, plus a great Hippie Butter burlap gift bag. How do I get it? Use coupon code MH15 to get an extra 15% off any Hippie Butter order! Hippie Butter is best known for their delicious hemp seed butter, but their full product line includes much more. They offer a diverse range of “honest & healthy food” and even hemp oil soaps and skincare products. What’s the deal? 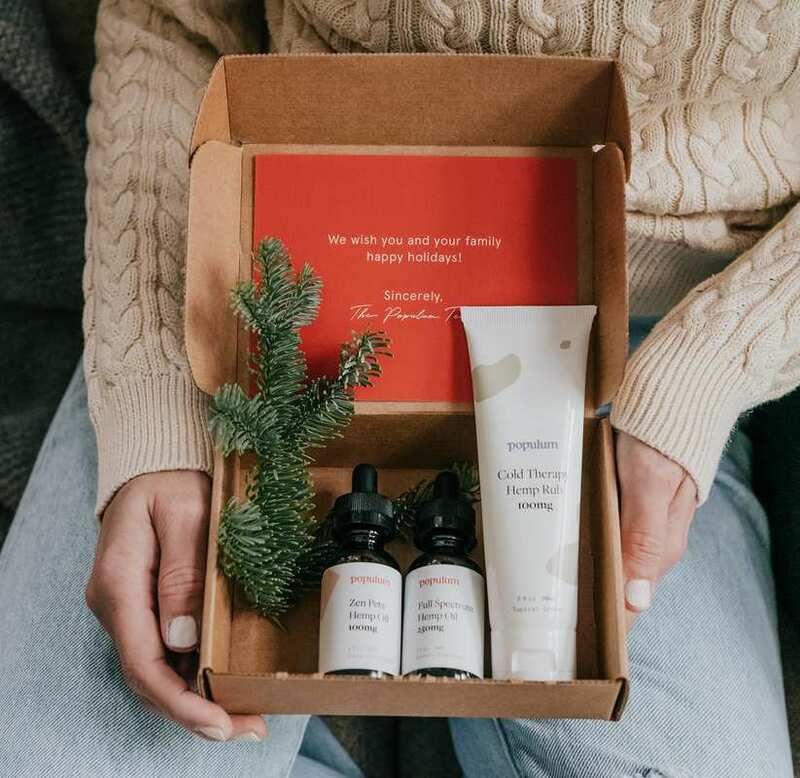 Gift CBD oil to a loved one with Populum’s Holiday Discovery Gift Set that includes their delicious orange-flavored full spectrum CBD oil, their Zen Pets tincture product, and their Cold Therapy CBD topical. How do I get it? Just order online while supplies last! This Populum gift set comes in a special holiday box to make it perfect for gifting. While we haven’t tried Zen Pets yet, Populum makes some of our favorite CBD oil and CBD salve. What’s the deal? 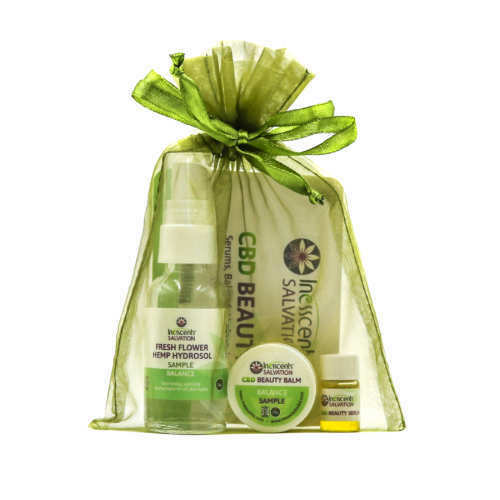 Try three great hemp skincare products with the Inesscents Salvation CBD Beauty Gift Bag, in a lovely gift bag that’s perfect for sharing. Inesscents makes a wide variety of beauty products with a focus on organic, top-quality ingredients. What’s the deal? 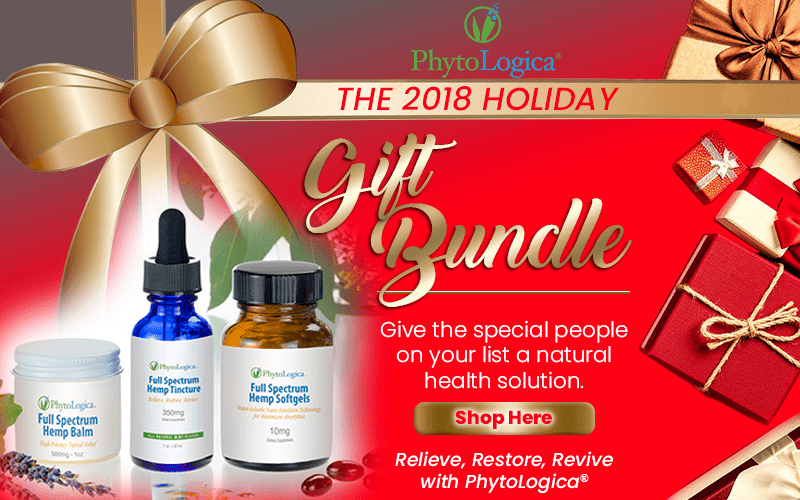 Another great way to introduce a loved one to CBD is PhytoLogica’s Full Spectrum Tri-Pack, which includes their CBD oil, CBD topical salve, and CBD softgels. How do I get it? Use coupon code HolidayMOH to get an extra 20% everything on their site including PhytoPaws products! PhytoLogica‘s products are all organic and kosher certified. They make one of our favorite CBD softgels and our review team loved trying PhytoLogica Full Spectrum Hemp Balm. Both products are included in the Tri-Pack. What’s the deal? Order from All Natural Way during the holiday season to get 25% off storewide and a free bottle of 350mg CBD oil with orders of $150 or more. How do I get it? Order between December 15, 2018 and December 25, 2018. If you order at least $150 on December 25, 2018, you’ll get both the free CBD oil and a free 500mg CBD topical too! All Natural Way is an experienced vendor of CBD oil that now offers their own brand of top-quality hemp extract supplements. Our review team enjoyed trying All Natural Way CBD Sleep Spray, part of a unique line of specialized CBD oral sprays. What’s the deal? 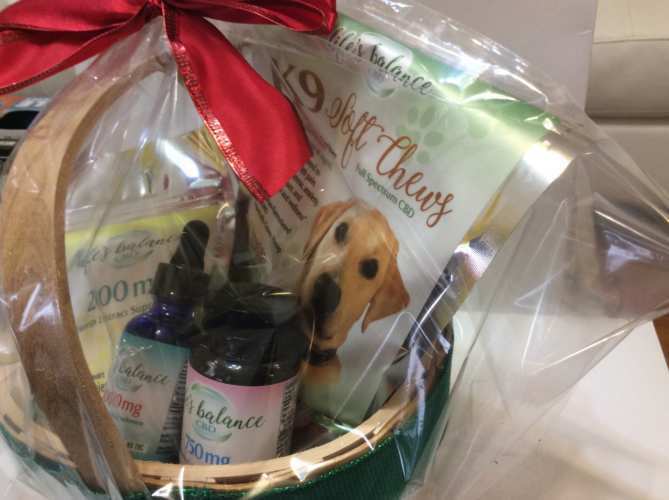 Life’s Balance is offering a Holiday Gummy Gift Basket and another bigger gift basket with a wide selection of their products for you to try. How do I get it? Use coupon code MofH18 to save an additional 20% on Life’s Balance orders, and get free shipping on orders over $75! Life’s Balance is local to our Editor in Chief in Austin, Texas, and we love Life’s Balance Gummies. What’s the deal? 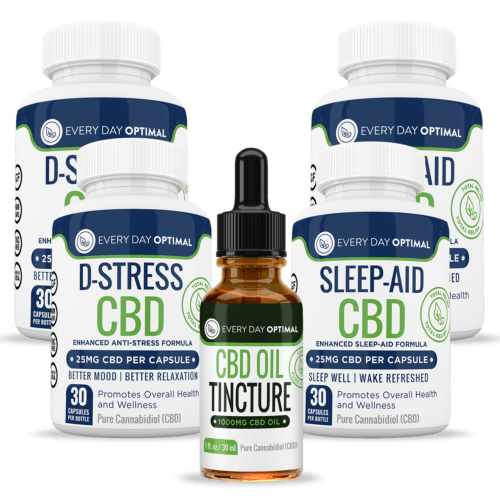 Every Day Optimal’s CBD Value Packs make a great introduction to CBD, offering a great variety of different products. How do I get it? Just order your preferred gift package online! 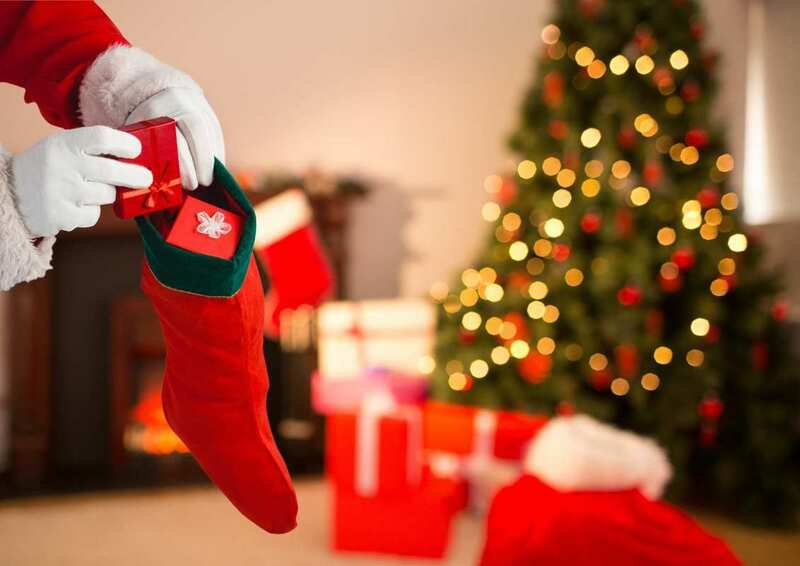 Finish off your holiday shopping list with these hemp stocking stuffers. cbdMD Bath Bombs — These bath bombs are a perfect way to soak away your stress; check out our full review of cbdMD bath bombs! CBDMedic Pain Relief Creams — Available in three different formulas, these make a great smaller gift; look for our complete review soon and use coupon code MOH15 for 15% off until January 10, 2019. 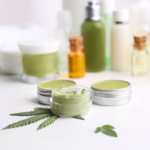 Hemp360 Cosmetics — Hemp360 specializes in hemp-based, organic, vegan and non-GMO skincare products. Holisticorn CBD Popcorn — One of our favorite discoveries at HIACON, Holisticorn adds cannabidiol and turmeric to a traditional, delicious holiday treat. Hemplete Protein Bar — These delicious energy bars are great for a stocking stuffer or for keeping you going while shopping, decorating and wrapping. iLoveBad Organics & WAMA Hemp Undies — Because what’s holiday gifting without some (ultra comfortable, sustainable) underwear? LifePatent Hemp Oil — These high quality tinctures come in elegant cardboard tubes that make them perfect for slipping into stockings; look for our complete review soon! Want to save some money on our favorite supplement? 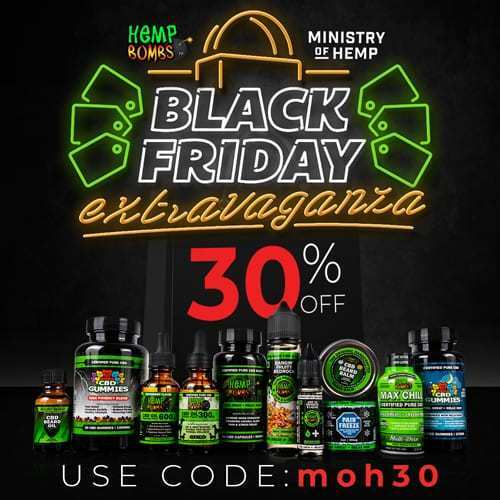 Ministry of Hemp partnered with 9 of our favorite CBD brands to bring you great Black Friday & Cyber Monday deals. Want to save some money on our favorite supplement? 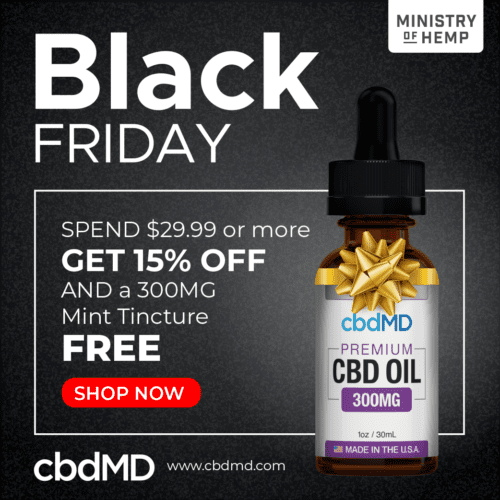 These Black Friday CBD deals are for you! It’s no secret, we love CBD oil year round. CBD helps us feel more balanced and healthier in our everyday lives. However, we think CBD oil is especially valuable during the holidays. 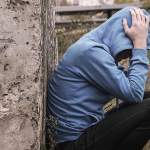 While everyone reacts differently, there’s growing scientific evidence that CBD can ease the symptoms of anxiety, reduce inflammation and combat pain. During these busy, high-stress days, we could all use a little help to stay relaxed. While many brands are offering sales, we’ve partnered with 9 of our favorite CBD producers to offer you special deals. All of these companies offer top-quality reliable CBD oil that we’ve personally tried and enjoyed. Our special Black Friday CBD deals are the perfect opportunity to restock, try a new variety, or gift a friend or loved one with CBD. 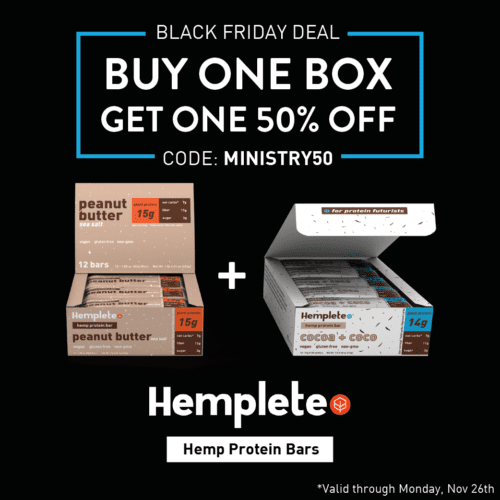 Ministry of Hemp partnered with our favorite brands to bring you great Black Friday CBD deals, so you can restock, try new products, and share CBD with your loved ones. Do you love other forms of hemp too? 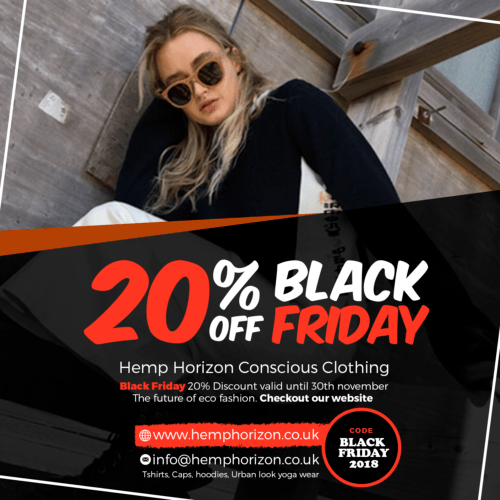 Come back tomorrow for our 2018 Hemp Black Friday Guide, and more great holiday content coming soon. Below, you’ll find coupons or special sales from 9 of our favorite brands of CBD. 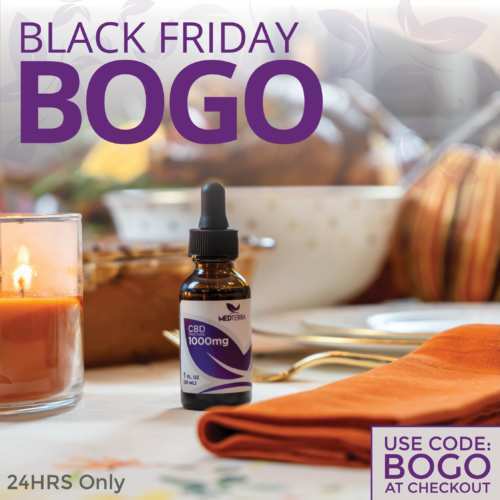 We’ve provided everything you need to take advantage of these great Black Friday CBD sales. What’s the deal? Buy any full-price Medterra product and get another of that same product for free! Do I need a coupon code? Use coupon code BOGO at checkout. When is this deal available? This deal is only available on two days: Black Friday (November 23, 2018) and Cyber Monday (November 26, 2018). Medterra makes all their products from hemp grown in Kentucky. Their MedOil CBD Tincture and Medterra CBD Gel Capsules are among our favorite CBD products. What’s the deal? 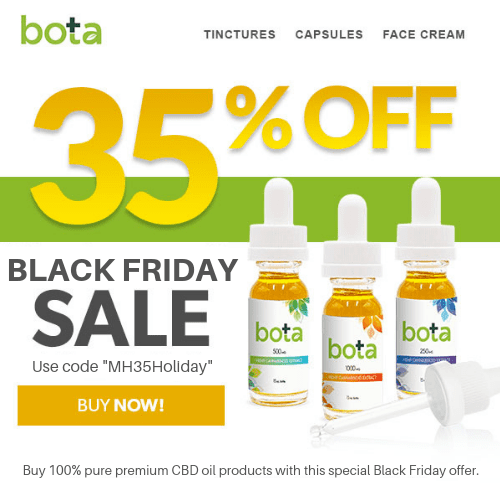 Get 35% off all Bota Hemp products during Black Friday weekend and Cyber Monday! Do I need a coupon code? Use coupon code MH35HOLIDAY at checkout. Bota Hemp uses only non-GMO, pesticide free hemp grown in Colorado. While we’re fans of all their products, our review team particularly loved the delicious flavor and potent effects of Bota Hemp CBD Tincture. What’s the deal? 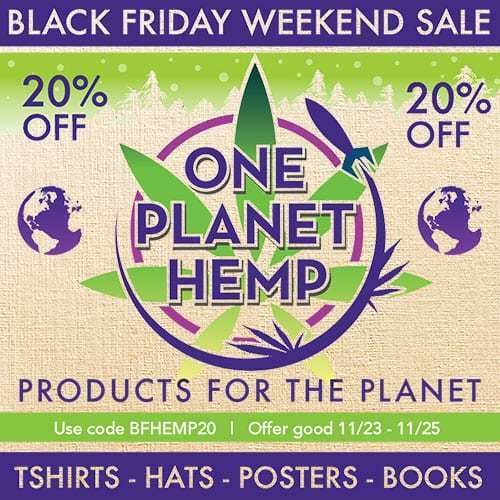 Get 30% off all Hemp Bombs products during Black Friday weekend and Cyber Monday! Do I need a coupon code? Use coupon code MOH30 at checkout. Hemp Bombs prides themselves on sourcing and importing only the highest grade of organic-certified European hemp. We love all of HempBombs products, especially their sweet and sour Hemp Bombs CBD Gummies. What’s the deal? 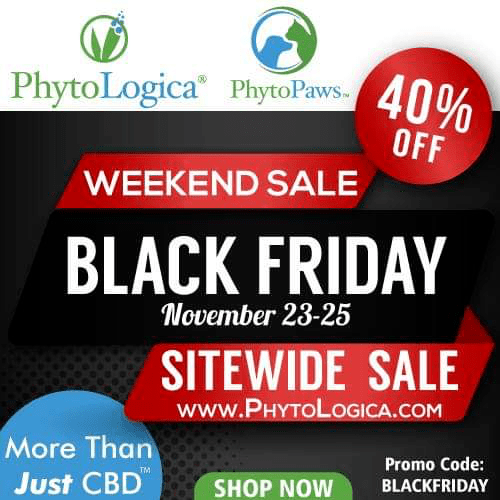 Get 40% off all PhytoLogica products during Black Friday weekend! Do I need a coupon code? Use coupon code BLACKFRIDAY at checkout. PhytoLogica uses only organically-grown U.S. hemp in all their products. Among their great product line, we’re big fans of PhytoLogica Full Spectrum Hemp Balm and their PhytoLogica Full Spectrum Softgels. What’s the deal? 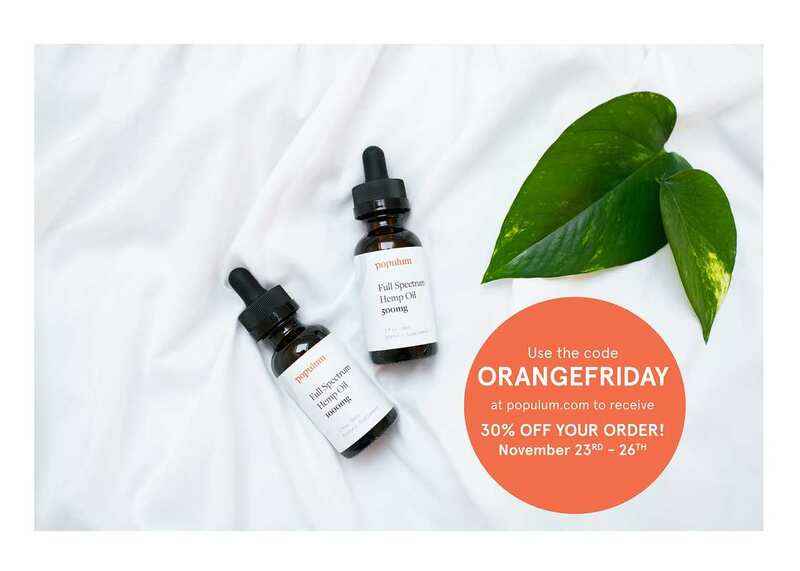 Get 30% off Populum products during Black Friday weekend and Cyber Monday! Do I need a coupon code? Use coupon code ORANGEFRIDAY at checkout. Populum’s products are made from Colorado hemp. We’re big fans of Populum, including Populum Cold Therapy Hemp Rub and Populum Premium Hemp Oil. What’s the deal? Get 30% off all NuLeaf Naturals products during Black Friday weekend and Cyber Monday! NuLeaf Naturals grows their hemp in Colorado, and prides themselves on offering simple products without unnecessary added ingredients. 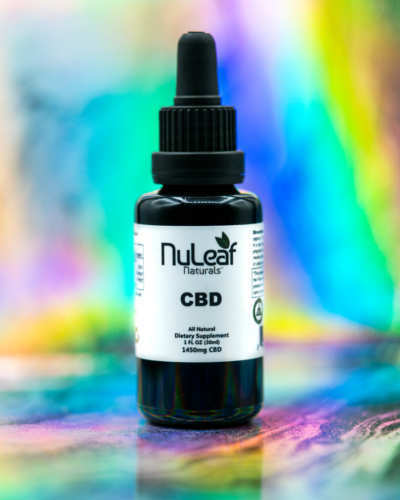 NuLeaf Naturals Full Spectrum CBD Oil is one of our favorite tinctures. What’s the deal? Buy any full-price Elixinol product and get another of that same product for free! Do I need a coupon code? No. Buy one, get one free deal is automatically applied at checkout. Elixinol sources their hemp from high-quality farmers in the U.S., Europe and Australia. We’re especially big fans of Elixinol Respira CBD Oil, which can be taken orally or used in a vape pen, and Elixinol CBD Hemp Oil Capsules. What’s the deal? Get 20% off all PlusCBD Oil products during Black Friday weekend and Cyber Monday! Do I need a coupon code? Use coupon code MOH20 at checkout. PlusCBD Oil products are made from high-quality non-GMO hemp grown in Europe. We love their convenient and effective PlusCBD Oil Gold Formula Softgels and their delicious PlusCBD Oil Café Mocha Spray. What’s the deal? Spend at least $29.99 on cbdMD products and get a 15% discount plus a free bottle of CBD tincture! Do I need a coupon code? Use coupon code MHFRIDAY at checkout. When is this deal available? This deal begins the day before Black Friday (November 22, 2018) and lasts through Cyber Monday (November 26, 2018). cbdMD uses hemp grown in Kentucky under a rigorous testing and quality-control process. 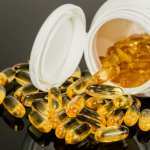 cbdMD CBD Oil Capsules are one our favorite CBD capsules on the market. 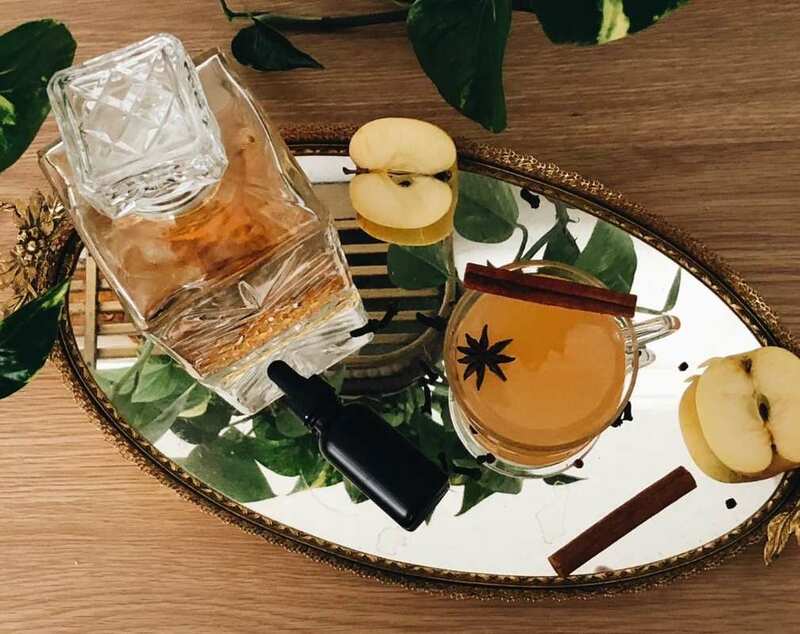 We’re excited to introduce Ministry of Hemp readers to Chron Vivant and share his delicious CBD mulled apple cider recipe. 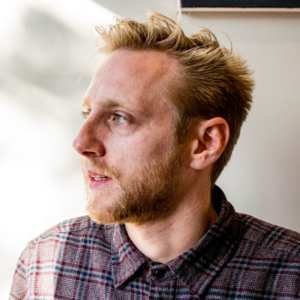 We thought we’d start with a brief Q&A about his work and the art of hemp-infused cocktails. Kit O’Connell, Editor in Chief at Ministry of Hemp: How did you get into making elevated cocktails? Was there a steep learning curve? John Korkidis, a.k.a. 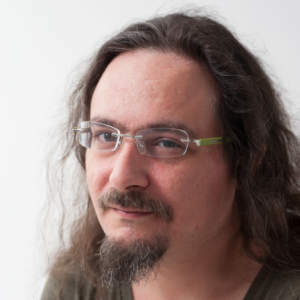 @ChronVivant: Little known fact: I spent most of my 20’s living and working in China as a creative. During my time there I cut my teeth in various agency roles and had the honor of working closely with artists like Ai Weiwei in his Beijing studio. I actually gained my appreciation for mixology during my time in China. I had a few friends who opened up some of the first cocktail bars in Beijing. They are the ones I credit for acquainting me with properly constructed classics and riffs. Also, because of proximity, Beijing had some fantastic Japanese whiskey bars where I gained a true appreciation for quality spirits, attentive service, custom hand-carved ice, and technique-driven mixology programs. 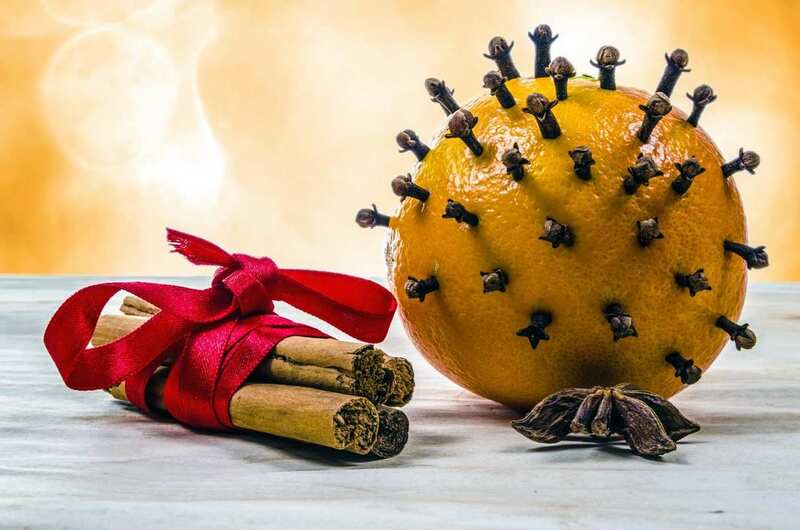 Cinnamon sticks and a clove orange help enhance the warm apple and hemp flavors of our CBD mulled apple cider. When I first got to San Francisco, I found this type of experience and quality execution surprisingly lacking. (These days, though, the drink scene has definitely caught up). In addition, I wasn’t used to paying $16 for a classic cocktail that was not properly executed, so I started to experiment with building the base of my favorite drinks at home. I focus on education and do my best to make things approachable for home chefs, apartment bartenders, and expert mixologists alike. Like anything in life, practice makes perfect. But getting started is not as hard as one might think. MoH: What are some of your recipes you make most? CV: Typically the drinks I feature are more mood enhancing than medicinal. However, I provide basic education and best practices for making all sorts of infusions. So depending on one’s particular needs, responsible adults (in legal states) have the ability to manufacture quality products affordably in their own home and use them how they see fit. The recipes I make the most leverage CBD and act to enhance relaxation. I love classic cocktails like old-fashioneds but I’m also a sucker for an egg white sour, so these are the drinks I make most at home. I personally have found that micro-dosing cannabinoids works for me. But in regards to traditional cocktails and mocktails, it’s common to have more than one. So it’s important that when creating recipes, dosing takes that into account. Also, I look at cannabis as just another ingredient and never try to make it the focal point. As you know, it’s important to get the balance right; it takes complex flavors and ingredients coming together to make a great drink. And it’s no different when making a canna-beverage. MOH: What do you think people need to know about CBD drinks & cocktails? Any common misconceptions? CV: Definitely lot’s of common misconceptions. When people hear cannabis cocktail often they assume that these drinks are going to get you high. To avoid any negative synergistic effects, I never recommend combining psychoactive cannabis with alcohol. Chron Vivant is all about promoting responsible consumption and typically creates recipes that feature either CBD cocktails (low ABV) or non-alcoholic THC drink alternatives (no ABV). 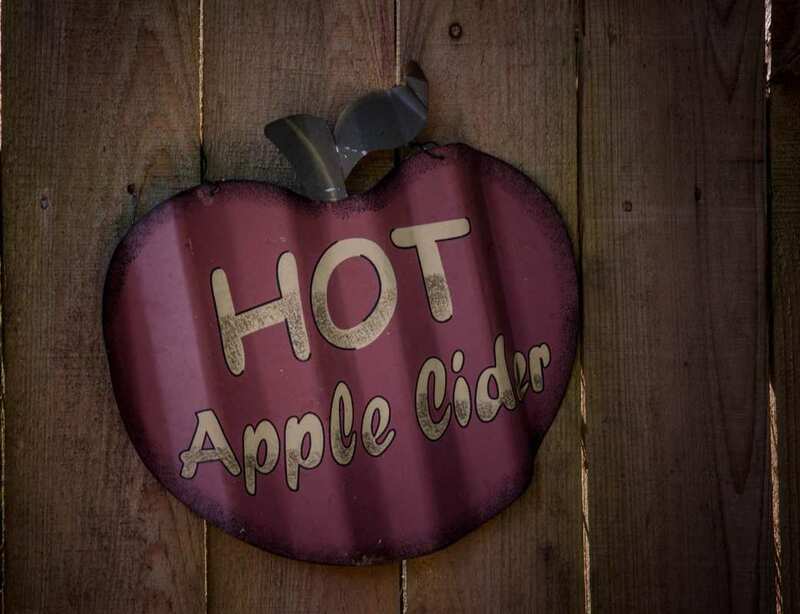 Our hot CBD mulled apple cider will enhance those autumn vibes and help you relax during the busy holiday season. 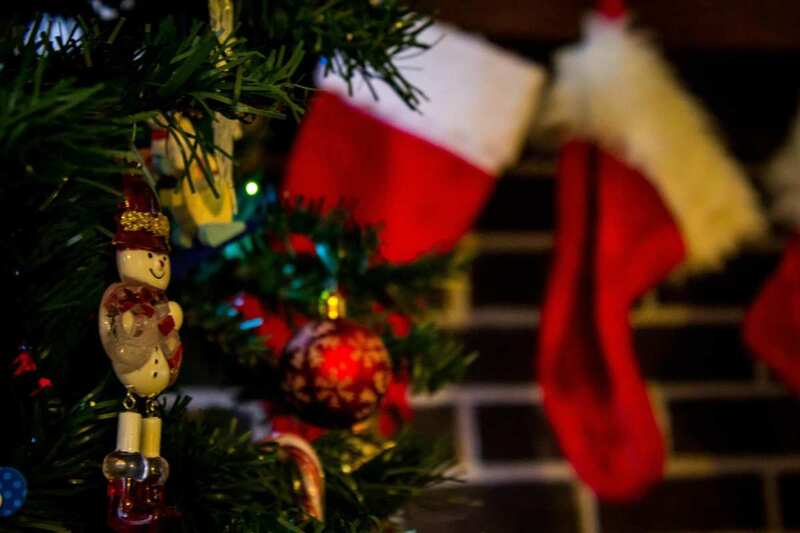 We are already a month into fall and that means the holiday season is fast approaching. It seems that once Halloween arrives, time speeds up and New Year’s Eve is here before we know it – a phenomenon known by some as Hallowthanksmas. I find a good way to slow things down is to break up my daily routine and take a moment to catch my breath and reflect with a fall-themed CBD cocktail or non-alcoholic CBD beverage. Croptober is one of my favorite times of year for ingredients. It’s period of transition, when the colors are still changing, the weather is shifting, and savory fruits and warm spices flood local markets. As soon as I start to see apples, persimmons, and pumpkins popping up, that’s when I get the signal that the change in seasons truly is here and I know it’s time to make a batch of my signature mulled apple cider. This easy-to-make, and even easier-to-drink, beverage is perfect for warming up the soul and makes an excellent batch concoction for your next seasonal party. The addition of CBD is sure to comfort the body and relax the mind. And since CBD is a non-psychoactive cannabinoid, you won’t need to worry worry about experiencing any negative synergistic effects when combined with alcohol. But of course, this fall-themed CBD cocktail can easily become a non-alcoholic mocktail by simply negating the booze.